Richard from Sweden’s Richard Garage is an amazing BMW motorcycle restorer. We all love before and after shots, and this is one of the best I’ve seen. 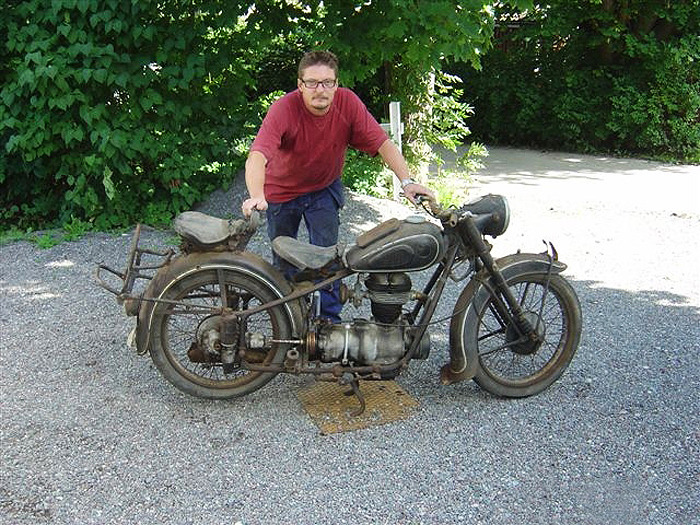 The 1952 BMW R25/2 motorcycle, was found in a garden where it had stood for 42 years, only covered with a oil cloth. That’s Richard standing with the bike when he found it. 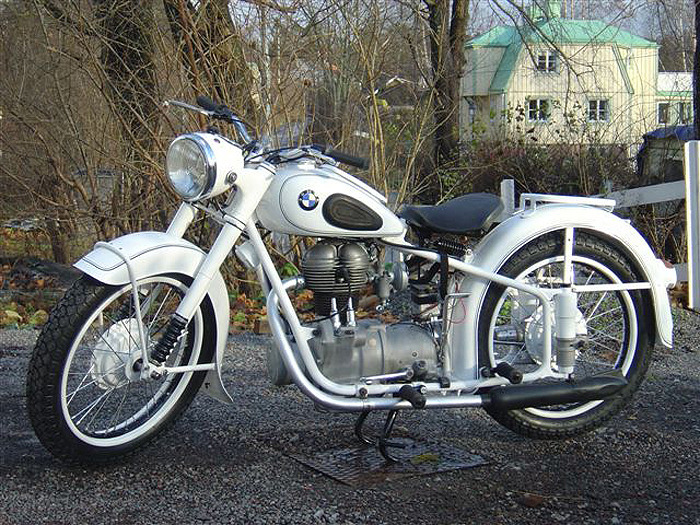 The stunning white BMW motorcycle is what he turned it into after lots of hard work. Respect.